Registration and abstract submission have now closed. Details of the program, including talks, associated events and a campus map, can be found here . Please register now for the free public lecture on Tue 8th Dec. Contributed talks are 20 minutes long with an additional 5 minutes for questions. Talks will conclude after 25 minutes so that people can switch rooms. The welcome reception will be held from 4-6pm on Sunday 6th Dec in Priestley Building 67-2SLC (see map ). Click here to download a print friendly (pdf) version of the UQ campus map. 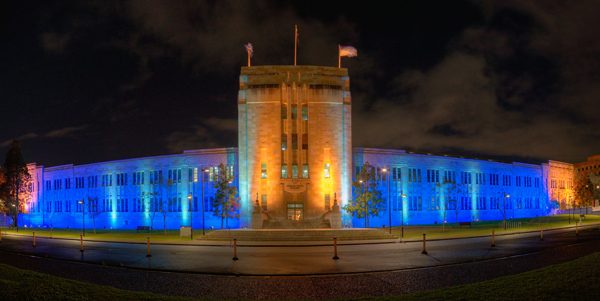 The 39th Australasian Conference on Combinatorial Mathematics and Combinatorial Computing (39ACCMCC) will be held at the University of Queensland, December 7-11, 2015. 39ACCMCC will follow a similar format to previous conferences in the ACCMCC annual series, which is overseen by the Combinatorial Mathematics Society of Australasia (CMSA) and began in 1972. The conference program includes 8 invited talks, contributed talks in parallel sessions, public lecture, conference dinner and presentation of CMSA student prize, excursion to St Helena Island, and CMSA Annual General Meeting. A public lecture , entitled "What is a research mathematician?" will be given by Professor Jonathan Jedwab (Simon Fraser University) at 5:30pm on Tuesday 8th December. Light refreshments will be served after the talk. **Attendance is free but you are required to register online here. ** (Registering for the conference does not automatically register you for the public lecture). Darryn Bryant, Barbara Maenhaut, Benjamin Smith, Elizabeth Billington, Matthew Dean and Diane Donovan.